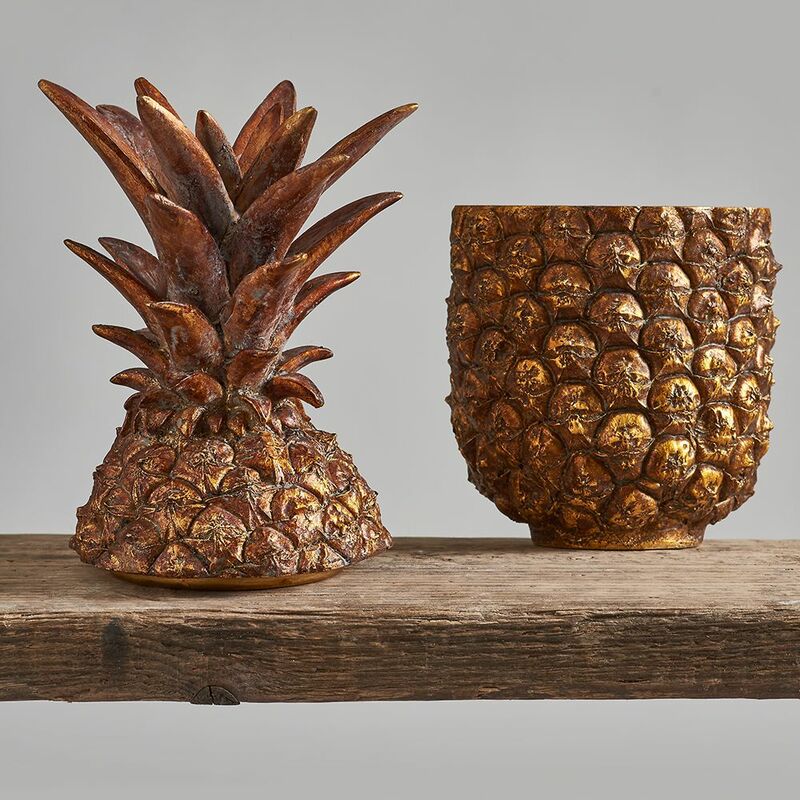 This lovely Pineapple Box in antique gold will certainly add a touch of style and glamour to any room of the house and it's also practical! Pineapples have always been a sign of wealth and were prized in colonial America for their sweet, juicy pulp. 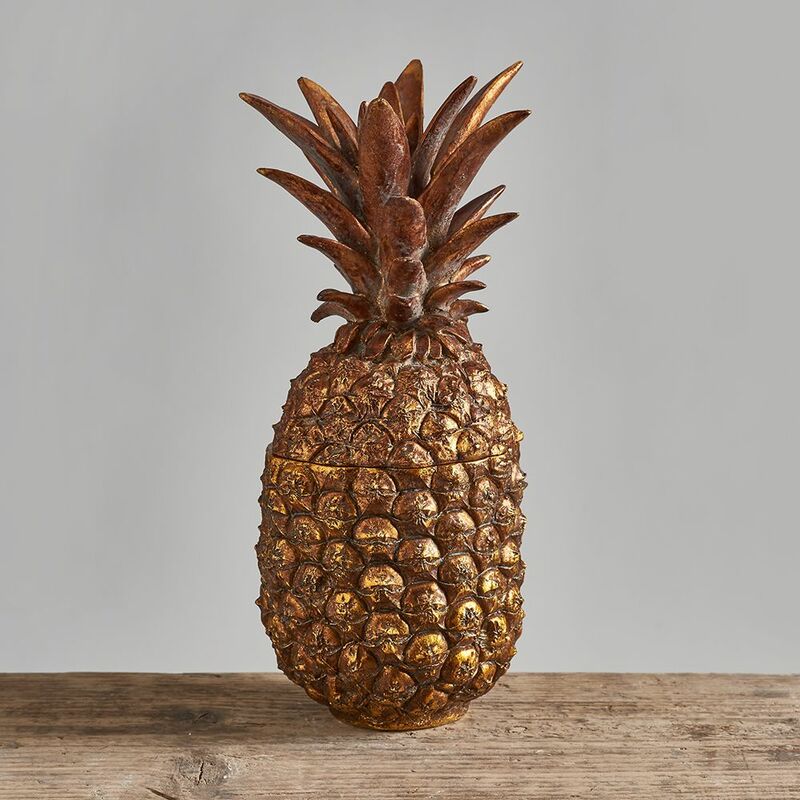 These scarce delicacies became symbols of hospitality and a popular door carving at prosperous households (pineapples became so prized as status symbols that colonial produce merchants would rent them to hostesses wishing to make a big impression). They have also traditionally always been used in decorative objects and this gilded box carries on that tradition.